Hello Everyone! 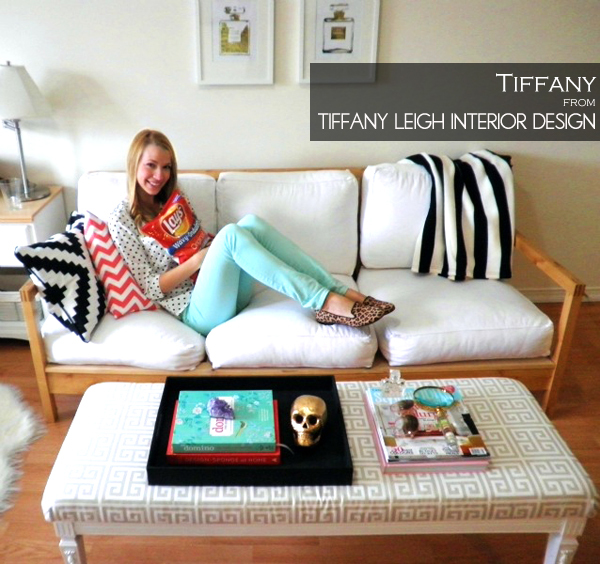 My name is Tiffany and I blog over at Tiffany Leigh Interior Design where I share my journey as an interior design student living in Toronto. I'm so excited to be here at Mimosa Lane today sharing a few of my favorite things. Of course, the best things in life are free and include my family, the bf, my cat Smokey and God. But I just moved into my new apartment in Toronto with only my belongings to keep me company, so lets indulge in a little frivolity, shall we? 1 | My Fave Mag. I love Style at Home Magazine because it's Canadian (like me) and it's chalked full of delicious images. While I adore blogs and online mags, there is just something about actually flipping through glossy pages. 2 | My fave Snack. Oh... and you may have noticed in the photo that I'm cradling a bag of Lay's Regular Potato Chips like a crazy person. The truth is... I simply cannot get enough and a list of my fave things just wouldn't be complete without chips! Gotta go with the 'family size' too of course. 3 | My Fave Shoes. I love loafers, animal prints and a good deal. So when I scooped these leopard loafers up at Target for $20, I knew they would never leave my feet. 4 | My fave Perfume. I love the little bow on this bottle, and the scent is simply to die for! The first Christmas gift from my guy! 5 | My Fave Home Accessory. While I love my little gold skull and amethyst chunk, this pillow holds sentimental value because my mom and I made it together while she was teaching me to sew! Now that I've moved out, I'm missing my mama! 6 | My Fave Book. My favourite book is actually Wuthering Heights by Emily Bronte, but I left my copy at my parents house by accident. My favourite coffee table book, however, is hands down Domino: The Book of Decorating. This copy is especially meaningful to me because my boyfriend, who has no interest in decor at all, went out and bought it for me! 7 | My Fave piece of Furniture. I just finished transforming a beat up coffee table that I got at Good Will for $4 into this Greek Key Bench! I'm so proud of the makeover! What a fun post! I hope you will all come by my blog and say hello. Thanks so much for having me Albertina and Julie! Thanks Tiffany for sharing all these beauties and thank you for participating. I loved getting a peek into your world (I love Wuthering heights too!). Also, Today I'm beyond excited to be guest posting today over at Erika's [ Shop Talk ] blog where I cozy up to the season's favorite, the cable knit sweater. Come on over and tell me which is your preferred way to style it. Come visit me there!! and Happy Thursday! Good thing the weekend is right around the corner right? Love animal print flats and the bench is wonderful!! Great post Tiffany! Good picks! Oh my goodness what a cute pic and amazing bench makeover! Such talent! Found your blog via Small Shop and love it! Tiffany, you are so cute. You are my favorite thing among your favorites! And the Lay's are a close second! Tiffany - I looooove lays chips and leopard print too. Good taste girl! I love this post! The bench is fabulous! So excited about this new segment and even more excited that Tiffany was your first blogger! Super cute, LOVE those shoes and that is seriously one of the best DIY's I've seen in a while! Very cute favorites. Im with you on ALL of them! Have a great day, love the series..
Great post! Love all the fun prints she has. Great series too! 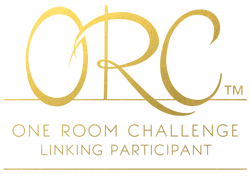 Congrats on your guest post spots as well...going to check out now! what a fun series! I was just over at tiffany's blog guest posting - love both of your blogs! Tiffany is a doll baby! 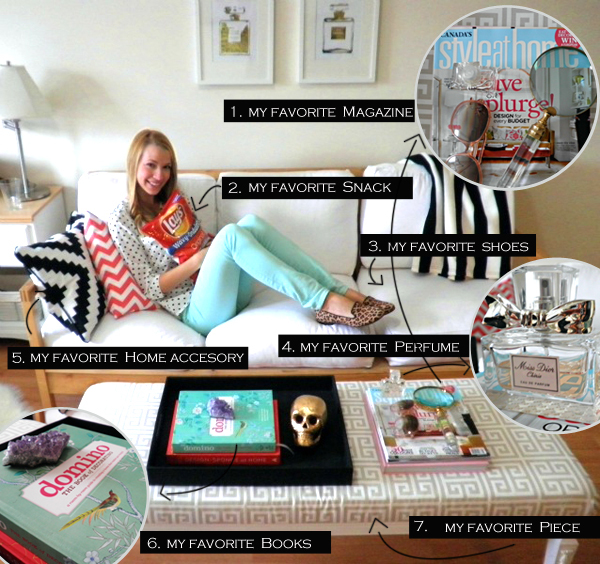 Love her and her blog!